It’s not often that I miss a musical opportunity. If I see someone on a stage I immediately inquire for their information. If what I hear has potential I politely put the performer on my list of people to peruse. In the case of Billy Litman, it took me several months just to see him a second time and navigate his name. The first time I was fortunate enough to find Billy I was at the bar to see someone else’s show. Whilst interviewing this person of interest I was directly distracted by the song coming from the stage. Someone was playing an acoustic version of my favorite Michael Jackson song, “The Way You Make Me Feel.” At the time I didn’t take advantage of the acoustic artist, but the next morning all I could think about was the boy in the baseball cap who captivated and called to me. 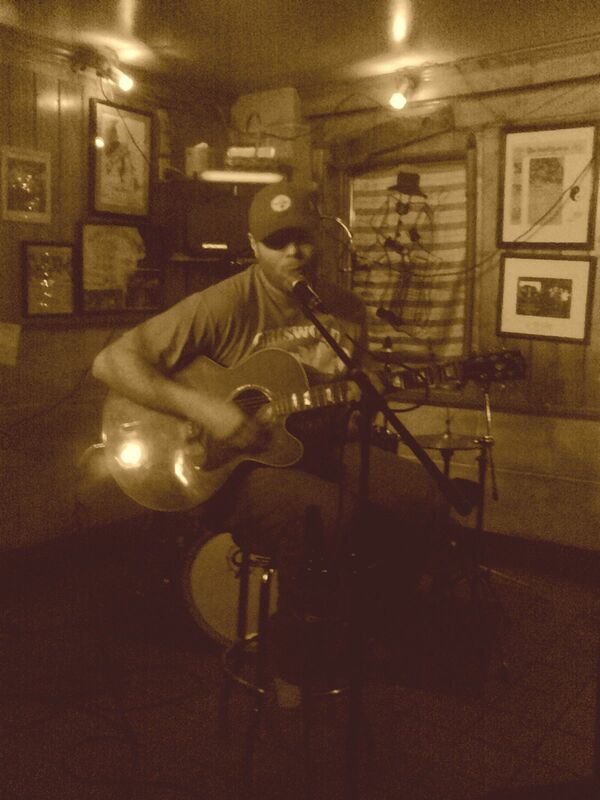 I interrogated all the bar locals about this mystery musician. It was like I was playing a game of Clue. Every piece of information I was provided with narrowed down my list of suspects until I put together all the pieces of the puzzle. I finally figured out it was Billy Littman at Down on Main with an acoustic guitar! Several weeks later I got a second chance to see the sly singer on stage and finally bring what I had found months prior to fruition. Ever the modest musician, one of the first quotes that came from him was, “I’m decent, but my sister is the real musician.” Talented and tactful! Billy Litman grew up in a talented triad of a family. Not only is his sister Brianna a superb singer who sang with Matt Heusel of The Trainjumpers and in their own band, Humble Sacrifice, but Billy’s aunt is a retired music teacher. Seeing Billy belt out his best, it’s frustrating to fathom that he has “only been playing in public for a couple years out of fear of rejection and stage fright.” That fear was fanned out by his family, as “my sister gave me the best advice when playing in front of a crowd – ‘For every person that hates your music, there’s always five more people that love what u do.’ I always try to remember that before I play.” When it comes to the guessing game of Billy Littman, we are all winners in the end! Game over! Previous Vanilla Sounded Chocolate: Eat ‘Em Up!